In the recently relaunched Sunday Post P.S. 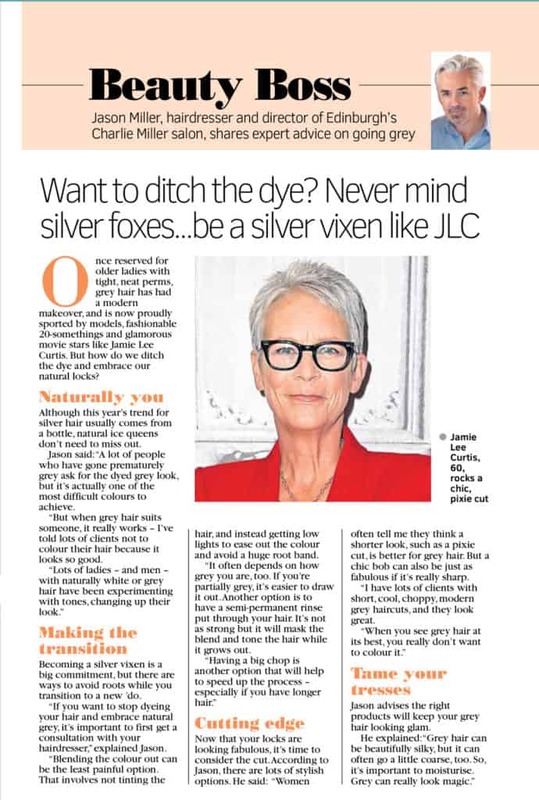 Magazine, Jason Miller shares his advice on how to embrace your natural grey. Keep up to date with all things Charlie Miller and Charlie Miller Haircare on Instagram.